Light Up Flashing Rings are a great accessory for all celebrations, parties, and occasions. 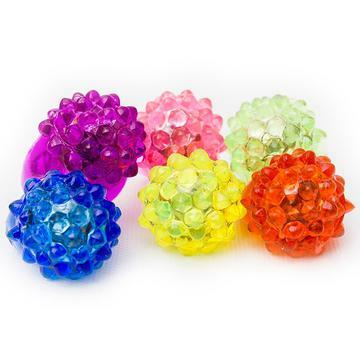 Our Light Up Flashing bumpy rings are made of a stretchy jelly. Light Up Flashing Rings - These Party Rings are absolutely perfect for any event day or night. To activate the Flashy Rings, simply press on the ring and it will start flashing. To turn off the flashing led ring, press on the ring again. Light Up Rings come per piece, Batteries are included and installed.